Welcome to La Garrida country house! 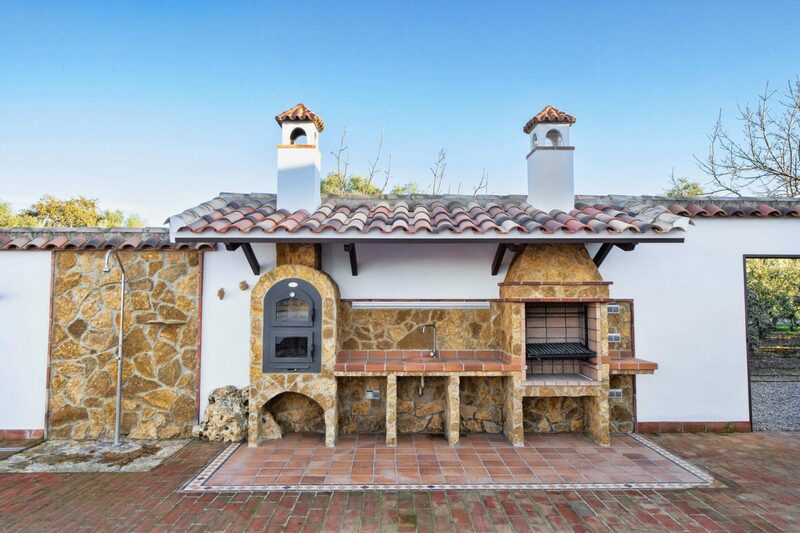 La Garrida is just a few minutes’ drive from Córdoba city centre, close to the town of Almodóvar del Río, at the foot of the Natural Park of Hornachuelos, in the middle of Sierra Morena with La Breña II reservoir acting as a witness. If you are searching for a short break in a rural destination, La Garrida is surrounded by a small olive grove of about 8.000 square meters and available for full rental. 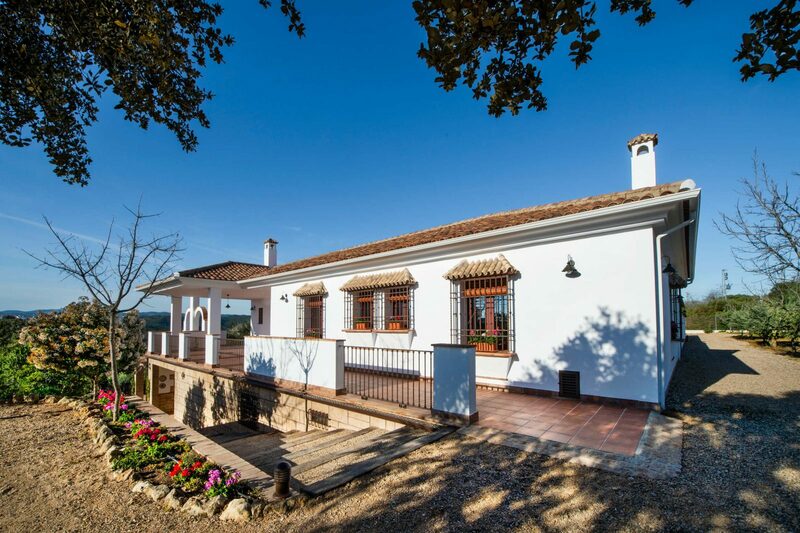 A rural house that dreams of being the charming accommodation chosen by those who wish to spend a few days in Córdoba. 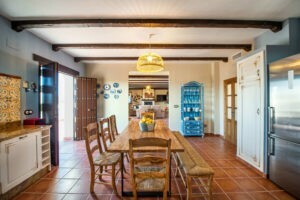 A new construction according to Andalusian rural aesthetics, that blends traditional and modern elements without forgetting about environmental respect. Our country house enjoys a privileged location. 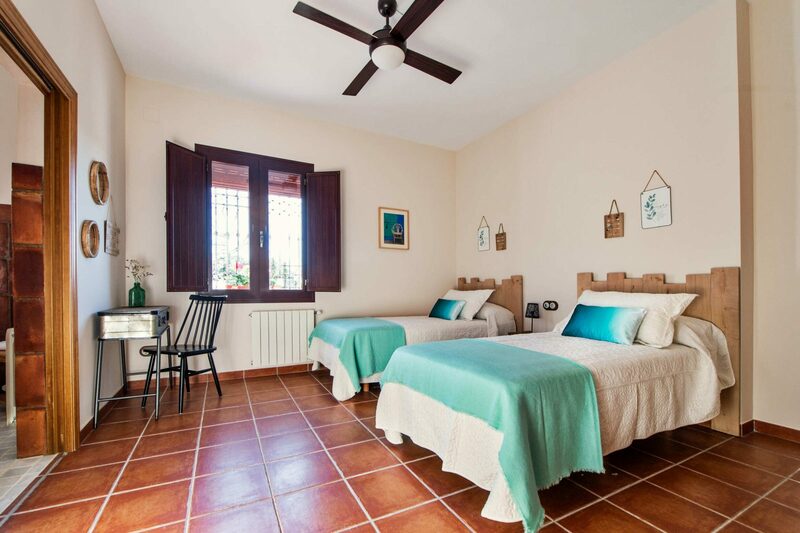 During your stay in La Garrida you will be able to practice various family activities like hiking, cross or trail running, mountain biking or horseback riding, as well as water sports like Wakeboarding or Water skiing. Motocross fans will enjoy their favourite sport in the nearby Moto-Cross track of El Pinillo. 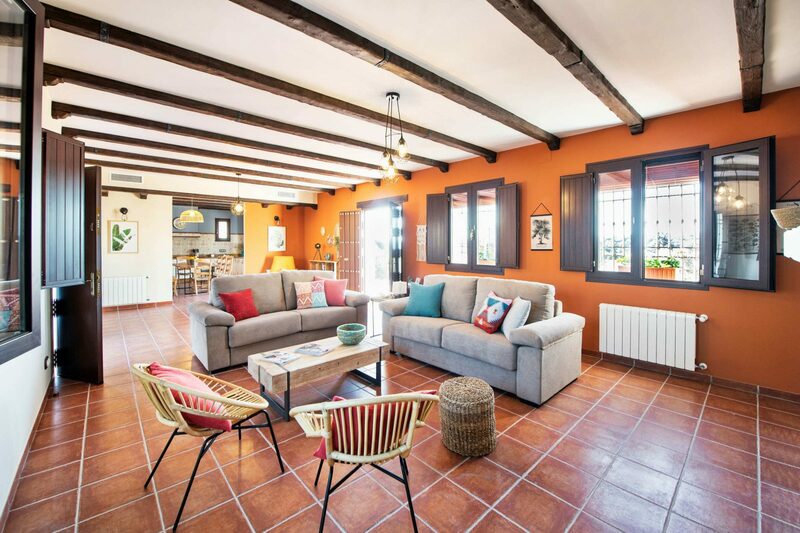 The house has been classified as superior category by the Ministry of Tourism of the Junta de Andalucía. The house is rented out as a whole and has a capacity for 8 people (expandable upon request), who will be able to enjoy all its facilities; a spacious living room with a wood burning lift door fireplace, a fully equipped eat-in kitchen, four bedrooms fully equipped with en-suite bathrooms, one of which has been totally adapted for guests with disabilities. On the outside of the house, there is a large terrace with excellent panoramic views, a salt-water pool with separate bathroom, as well as two barbecues and a wood-fired oven. In addition, the house has a central heating and air conditioning system in every room, mobile phone coverage and Wi-Fi Internet connection. Pets are allowed (only dogs and cats, please notice our pet policy). Delve into the rural tourism experience in Córdoba by the hand of La Garrida country house. 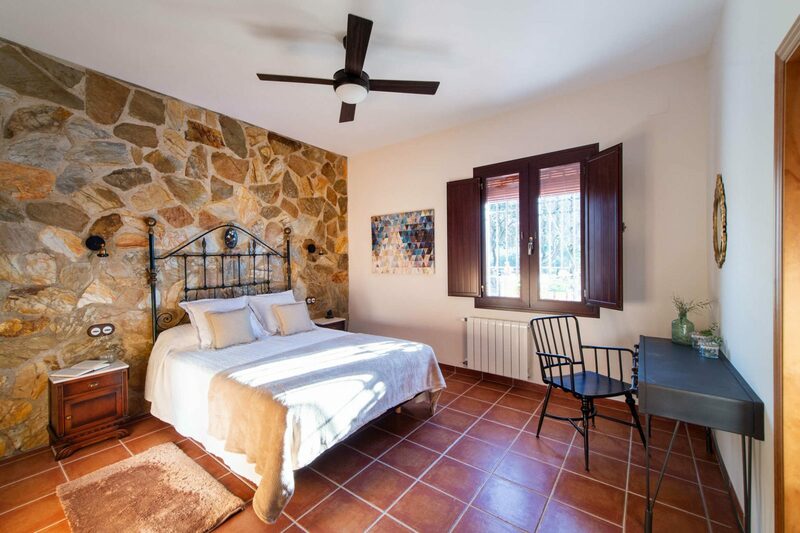 Stop seeking more rustic houses, find in La Garrida your rural house should you be looking for a fun family weekend trip or a romantic getaway. Our pool with saltwater chlorination system does not contain any harsh chemicals and prevents skin and eye irritation. The house has two barbecues with a wood-fired oven and stove, so that you can make traditional and tasty meals. Enjoy nature without completely unplugging from technology. The house has mobile coverage and free Wi-Fi. We have central heating and air conditioning system in every single room, for your convenience. The lift door fireplace gives you the possibility to enjoy the full experience of a cozy fireplace and the crackling fire in a clean and safety way. Adapted for guests with disabilities. The whole house is adapted for disabled people, especially one of our bedrooms and its en-suite bathroom. If you are planning on taking your pet on your next vacation, don´t hesitate. Bring it with you and enjoy together a few days surrounded by nature! (Only dogs and cats are allowed, please notice our pet policy). 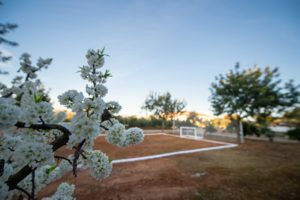 Our facilities include a children´s playground and a football area with training goals. 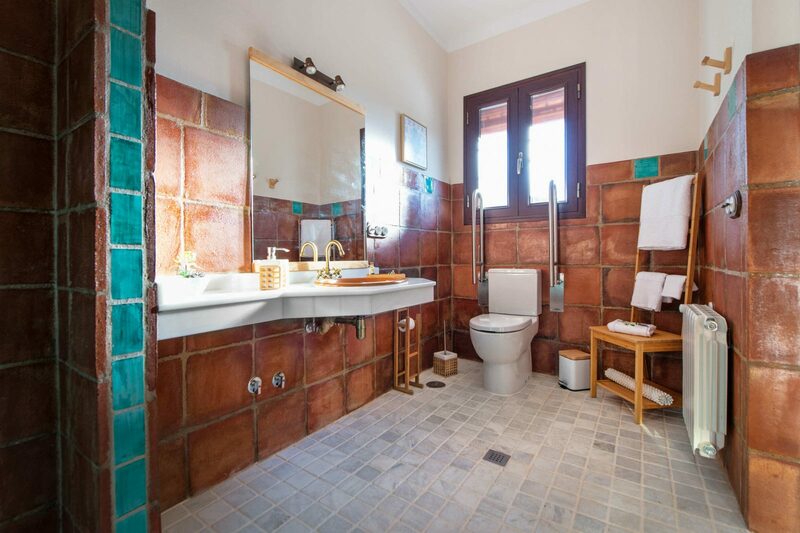 The country house La Garrida has been recognized as Superior Category; a distinction awarded by the Ministry of Tourism of the Junta de Andalucía. 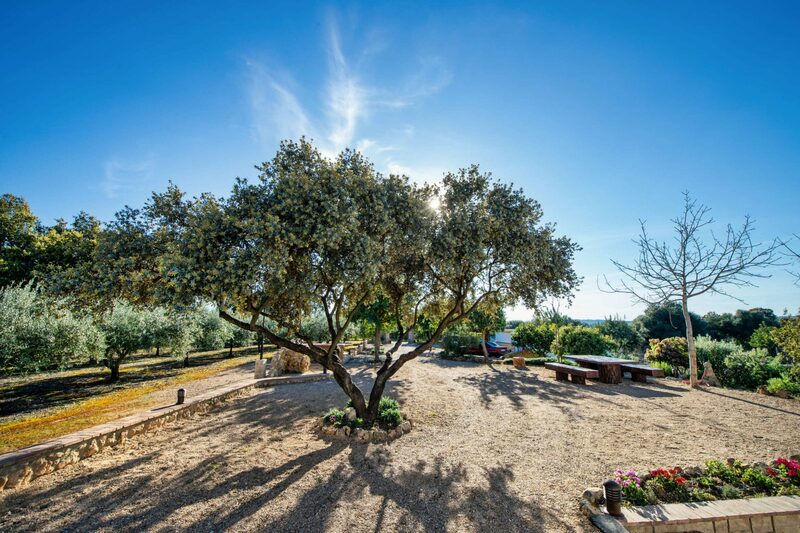 The country house La Garrida enjoys a privileged location. During your stay you will be able to do different types of active tourism activities, such as hiking, mountain biking or horseback riding, as well as water sports, including water- skiing or canoeing.